Tweet & Get A Free Erik Hassle Remix: You all know by now that I'm a BIG fan of the poofy-haired Swedish singer/songwriter Erik Hassle. Well, his label here in the States, Universal Republic is offering his fans the chance to download the Penguin Prison Remix of debut single "Hurtful." Simply click on the "Post To Twitter" link HERE and get the remix. It's that easy! Hassle's album is due out in the States this Spring. Those lucky peeps in the UK can expect remixes from the incomparable Wideboys, Michael Mind, FattyPhunk and more. 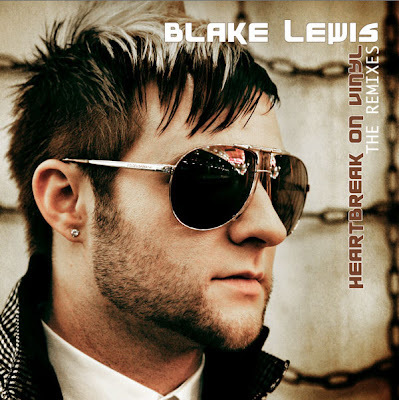 Blake Lewis - Heartbreak On Vinyl - The Remixes: While I'm a little bit behind on this, remixes are now available for American Idol Season 6 Runner Up Blake Lewis. As much as I enjoyed "Sad Song" (and subsequent remixes by Jason Nevins, Craig C. and Pilotpriest) "Heartbreak On Vinyl" has always been one of my favorite tracks from Lewis' second album of the same name. Remixes are available to download on iTunes right now. Giving Lewis the remix treatment this time around, we have Bimbo Jones, Chew Fu and LA Riots. Good stuff right here! You might as well check out the remixes for "Sad Song" HERE. The Ting Tings Take SNL By Storm: While I rarely tune in anymore to see Saturday Night Live, I will tune record it if I know an awesome band will be making an appearance. On January 16th, the Ting Tings graced the SNL stage and performed 2 of their hits, "Shut Up & Let Me Go," and "That's Not My Name." Brilliant. Loved seeing them live last year. So good! Can't wait for their new album, which the band is working on right now in Germany. Oh! And congrats to the band for their recent Grammy Nomination for Best New Artist. I was definitely rooting for a Ting Tings win. Watch their SNL performances HERE. Katie Melua Announces New 2010 European Tour, New Album Coming Along: Katie Melua's music is definitely more on the mellow end of the spectrum when it comes to my musical tastes. That being said, I respect an artist who not only has a beautiful instrument, but also has the ability to express herself so beautifully through her songwriting. I thoroughly enjoyed seeing Melua live last year in a more intimate setting and hope to do so again. Starting this Summer Melua will embark on a massive European Tour that will take her to Denmark, Norway, France, Belgium, Germany, The Netherlands, Switzerland and the UK. For a full list of her European tour dates, check out her WEBSITE. The tour kicks off July 1st in Odense, Denmark. 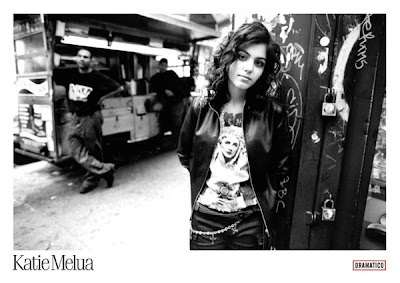 In other Katie Melua-related news, famous electronica producer William Orbit (Madonna) is producing Melua's new album. Orbit confirmed the news via Facebook and has been Tweeting about it as well. Can't wait to hear what they come up with. Should be interesting! Sarah McLachlan Releases "One Dream" Music Video: Singer/Songwriter and Vancouver native, Sarah McLachlan has written, recorded and shot a new music video for her song "One Dream," which is being used to promote the 2010 Vancouver Winter Olympics (which begin with the Opening Ceremony this Friday, February 12th). The video saw it's broadcast television premier on January 24th during the 2010 AT&T U.S. Figure Skating Championships and Countdown to the Vancouver Olympics on NBC. Check out the video HERE and download the song on iTunes. Sarah's also busy with Lilth 2010, so check out the official site for another round of additions to the lineup as well as new cities added to the tour. 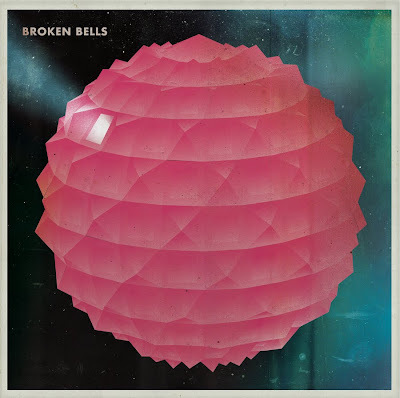 Broken Bells Premiere "The High Road" Video: Checkout the new Broken Bells video for their debut single, "The High Road." Directed by the talented Sophie Muller, this video is visually stunning and features the gentlemen of Broken Bells - James Mercer of The Shins and Danger Mouse - in all their glory. The single is available to download on iTunes now (free for a limited time). Check out the video HERE. The debut album is due out March 9th, 2010. Pre-Order the Deluxe Edition from the band's website. Real Housewife - Remixed - Tracy Young Remixes Kim Zolciak's DBTFTP: Superstar DJ Tracy Young has remixed Real Housewife of Atlanta, Kim Zolciak's single "Don't Be Tardy For The Party." HOT HOT HOT. Remixes will be released digitally (via Ferosh Records) on Tuesday February 9th. The mixes will hit all digital retailers including iTunes, Masterbeat, Juno, Amazon, Napster, etc. Young also hints at a physical release at some point down the line as well. For those of you who want a sneak peak of the remixes, head on over to Perez Hilton and check out what appears to be a radio edit. Make sure you get your copy! Stars Come Together for Haiti - "Everybody Hurts" Released in the UK: The Simon Cowell-produced Haiti Charity Single, a cover of R.E.M. 's "Everybody Hurts" has been released in the UK, along with a video. The track was re-recorded in both LA and London and features the vocal stylings of 21 artists including Robbie Williams, Alexandra Burke, Cheryl Cole, Susan Boyle, MIKA, James Blunt, Rod Stewart and more. Check out the video HERE and if you're in the UK, show Haiti some love by downloading the single. Dionne Bromfield has revealed that she is in fact recording a follow up to her debut album, Introducing Dionne Bromfield. Syze-Up (Desert Eagle Discs) is one confirmed producer on the project. New Calvin Harris Single, "You Used To Hold Me" is out now in the UK. On the remix, we have the uber-talented Laidback Luke. Check out the video HERE. Good news Kimberley Locke fans! We can expect her new single (via Curb Records) on March 16th. It's called "Strobe Light" and it's produced by Randy Jackson.